Serenity was the theme of the night. The elven villagers of the Commonwealth's borders put their children to bed, washed themselves for the night, and the shadier bunch went out for a night on the town. The town's militia had narrowed down to a skeleton crew, some royal guards still keeping watch under torchlight, the rest either enjoying a few drinks at the pub or heading off for some shut-eye. Suddenly, a blaring horn rocked the night. Parents woke, startled babies cried, and guards mobilized. From the trees of the nearby jungle, chunks of flaming wood were flung into the wooden village, and the thundering of several dozen footsteps shook the Earth. One figure emerged from the trees; towering, muscular, and green-gray of skin. The rest followed, and in unison, their cry echoed through the night. The sound of the horn blaring out from the forests resonates between the high mountains flanking the village. Those presently standing watch to the city of Ausran frantically hammer the bells which warn of attack. Ausran's forces swiftly gather at the thin wooden walls which border the city. The wooden gates close shut as the civilians of Ausran cower in their homes. Those living in the out-skirts closest to the forest would begin to retreat to the safety of the city of Ausran. Ausran's forces wait, their long bows drawn. As the invading force comes into sight, the Ausranians release the strings, sending volleys of arrows towards the invaders, who would be struggling to move through several hundred meters of swampy lands which completely surround the city Ausran. From within the city, the cries of Ausran's priests struggle to overpower the sound of bow strings snapping back and forth. They pray for their beloved God of Water to come to their aid. "Turn back at once, Orcs, or may Aqueus banish you from these lands!" The rampaging orcs payed no mind to the incoherent garble that was elfspeak. The volley of arrows thunked into the leather armors of the front line of orcfolk, others tripping over their arrow-speckled corpses to be trampled to death by the approaching sea of green. The orcish fireslingers continued their bombardment of the town, several wooden buildings catching fire, turning the black night red. Several orcish juggernauts, clad from head-to-toe in strong black iron, were among the stampede. About twenty-eight in total, each carried long metal ladders and rushed for the wall, attempting to hook them on and climb up as they approached, providing a means of entry for the orcs. 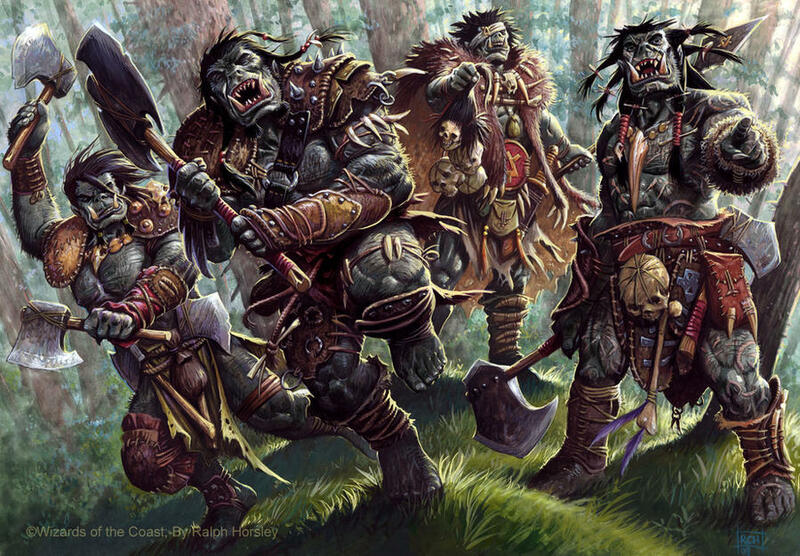 Behind the orcish stampede scampered many goblins, each carrying crude bamboo arrows and wooden bows. 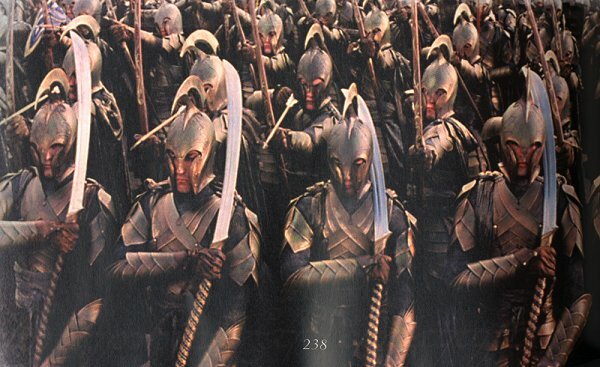 They lined up in formation and unleashed a volley of arrows at the elves on the wall, arcing through the air and casting a shadow on the orcs below. // i'm assuming the village is surrounded by a wall, which might work to your benefit anyway. As the ladders thud in sequence against the walls, those Elves who are able to begin to push them back down. Those who are still able to fire their bows continue to do so, but those at the front of the walls take to using their bows to push and shove the invaders away from the walls. Those in front are held in place by three man deep lines of Ausranians. With there being no shortage of water around Ausran, water soon arrives by the bucket load to douse the flames that begin to spread between the wooden structures. The power of the fires is diminished slightly in the moist air of the coast. The fires are contained and isolated, but not extinguished. At this point, reinforcements are beginning to trickle in from the inner city. The organised platoons of bow men begin to fire their arrows in high arcs over the top of the wall. Reserve troops begin to muster, but logistically Ausran was not prepared to hand out such a vast amount of weaponry and ammunition. Barricades are erected inside the walls in case they are taken. Casualties are not very large in number yet, but the crude vollies of arrows from the goblins pick off a few on the walls. The blood-churning wale of orcs plummeting to their deaths accompany the falling of each ladder. Those orcs that did manage to make it up the ladders were immediately met with elvish blades, yet the tide never ceased. The marshland surrounding the walls of the outskirt village were littered with orcish corpses, each pelted with arrows or signs of trampling. While the orcs had stopped flowing out of the jungle, the unorganized mass of them were now rushing to the walls. While certain portions of the swarm were still focusing their attention on scaling the ladders, a greater threat approached. In the center of the crowd, several orcs hoisted a massive tree between them, rushing for the village's main gate. Were one of the carriers to fall, another orc simply took his place. The orcs were suffering heavy casualties, but the gap between them and the walls was closing. It was only a matter of time before the true carnage began.